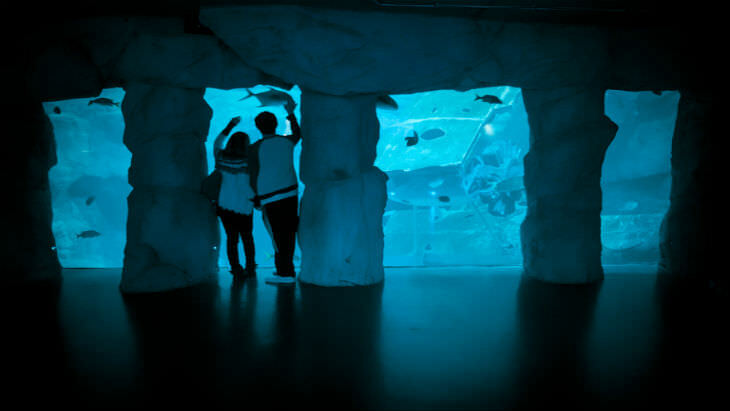 Since 2010, the Aquarium has supported a structured programme of research exploring the potential for public aquariums to provide human health and well-being benefits. This research has particularly focused on how marine biodiversity (variety of marine life in an exhibit or in a natural environment) can influence a person’s mental and physical well-being.Results from this research have shown that aquariums can provide valuable ‘restorative’ experiences (reduced stress, greater relaxation, improvements in mood). Furthermore, biodiversity has been shown to influence well-being outcomes. This is important as if people understand that biodiversity is important to their health and well-being they may be more likely to want to conserve the marine environment which is the goal of the National Marine Aquarium.